Mark S. Mancher is a Principal in the Long Island, New York, office of Jackson Lewis P.C. 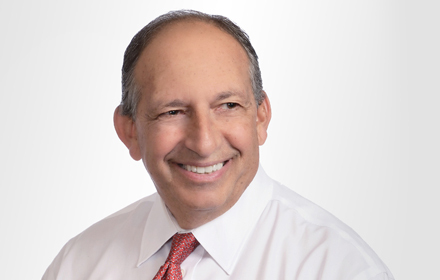 Since joining Jackson Lewis in 1988, he has litigated and tried employment law cases before state and federal courts, administrative agencies and arbitration panels throughout the country. Mr. Mancher currently is co-coordinator of Jackson Lewis’ trial practice group for the New York metropolitan area. Mr. Mancher has extensive experience defending companies against allegations of sexual harassment and other complaints of discrimination. He also specializes in the area of restrictive covenant litigation and employment law compliance. While Mr. Mancher has represented a wide variety of employers, he has particular experience representing firms in the brokerage and financial industries. Prior to joining Jackson Lewis, Mr. Mancher was a criminal trial attorney with the New York City Legal Aid Society. He was one of a handful of attorneys in that organization assigned to the Major Offender Program. As a participant in that program, he was responsible for the representation of repeat offenders facing life imprisonment and those charged with the most serious crimes.